With a number of movies lined up for 2015, actor Asif Ali is all set to star in debutant director Gautham Mohan's most ambitious project. Titled Happy Birthday, the theme and story of the movie is unusual and has not yet experienced in the Malayalam industry. Janani Iyer will pair with Asif Ali after 'Moosayile Kuthirameenukal' and 'Driver on Duty'. Touted as a fantasy movie creamed with elements of romance, comedy, drama and a bit of horror, the movie is inspired by the Hollywood film 'Groundhog Day' in which a young man finds himself in a time loop. He lives the same day over and over again in different ways on his 26th birthday. He keeps on changing his clothes, as the day is different each time for him. The concept is interesting where a young man gets to live the same day over and over with endless possibilities. How he plays with time forms the crux of the movie. Truly it is a tale of self–improvement which emphasizes the need to look inside oneself. Through this one could realize that the only satisfaction in life comes from turning on to the outside world and concerning oneself with others rather than focusing only on one's own wants and desires. Janani Iyer plays Asif's love interest who is a rich and sophisticated girl, but reserved in character. For the story pf Rohit Panikker, Rajeev M Philip has penned the dialogues. Rohini, Vijay Menon, Nandu, Prathap Pothen and Jinu Joseph will give life to other prominent important characters. Prasanth Pillai is in charge of composing the music for the movie. After the pre production works, the movie will kick start from March 2015. 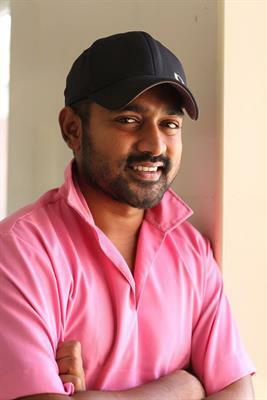 The upcoming projects of Asif Ali include Nirnayakam, Adventure of Omankuttan, Driver on Duty, Double Barrel, St Peter's Day and Reghuram Varma's untitled venture.